Lock in a great price for Ommaroo Hotel – rated 8.2 by recent guests! The sea facing room with balcony was lovely, although the road could be noisy at peak times. Staff very pleasant. The location is excellent, the room had been upgraded. Breakfasts were superb and the staff very helpful. Breakfast was perfect! Rooms were nice. Location was good. Staff are exceptionally good! Good breakfast, nice staff. Good location right on Beach. THE BEST BREAKFAST WAS THE BUFFET STYLE, IT'S NICE TO 'PICK & MIX' WHAT YOU'D LIKE. EVERYTHING WAS EXCELLENT, THANK YOU. Rooms very comfortable and staff offered excellent service. A very enjoyable stay, I would highly recommend this hotel. The breakfast was really nice and plenty of it. We would have liked to have some small breakfast cakes to finish off! We found a plumbing issue and the staff got on to it immediately, the night staff looked after us well and ensured we were comfortable. Room was quiet, warm and private. Location was an easy walk to town. Comfy bed and very clean. Ommaroo Hotel This rating is a reflection of how the property compares to the industry standard when it comes to price, facilities and services available. It's based on a self-evaluation by the property. Use this rating to help choose your stay! All of the Ommaroo’s rooms include TVs and private bathrooms. Guests can use tea/coffee facilities and hairdryers, and some rooms feature scenic sea views. A full English breakfast is served in the stylish and modern dining room. In the evening, guests can choose from a 3-course set dinner menu. The relaxing sun room provides panoramic views of the sea and the sprawling, rocky reef of Havre des Pas. 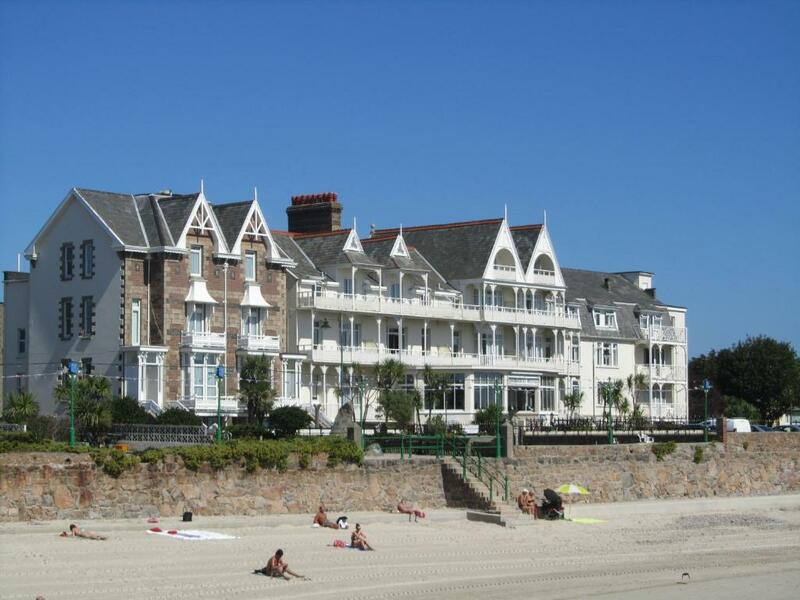 The center of St. Helier is a 10 minute walk away, with its bustling shops. The famous Central Marketplace is also a 15 minute walk away, and Jersey Airport is a 20 minute drive from the hotel. When would you like to stay at Ommaroo Hotel? This room has an private bathroom, TV, free WiFi and tea/coffee making facilities. Overlooking the sea, this room has an private bathroom, TV, free WiFi and tea/coffee making facilities. House Rules Ommaroo Hotel takes special requests – add in the next step! Ommaroo Hotel accepts these cards and reserves the right to temporarily hold an amount prior to arrival. The room was very small The bedding looked old, worn and grey. I have thrown better looking duvets and pillows out! Nice light airy room with sea view. Tea and coffee making facilities available. We had a large room, with a balcony and sea view. Huge bathroom. This was very helpful for my elderly mother. The staff, especially those in dining room were incredibly kind and patient. Our radiator was broken and the bathroom extractor did not work so it got very steamy while also being a bit cold for February! Clean and well presented. Good value for money. Lift was small. But minor inconvenience.